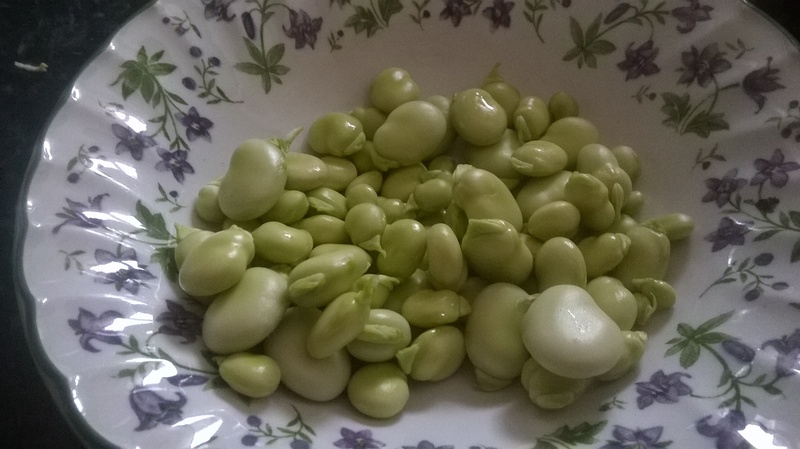 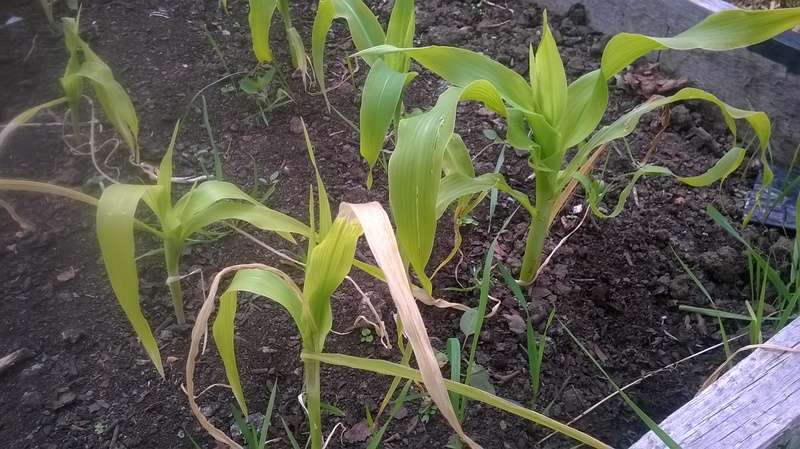 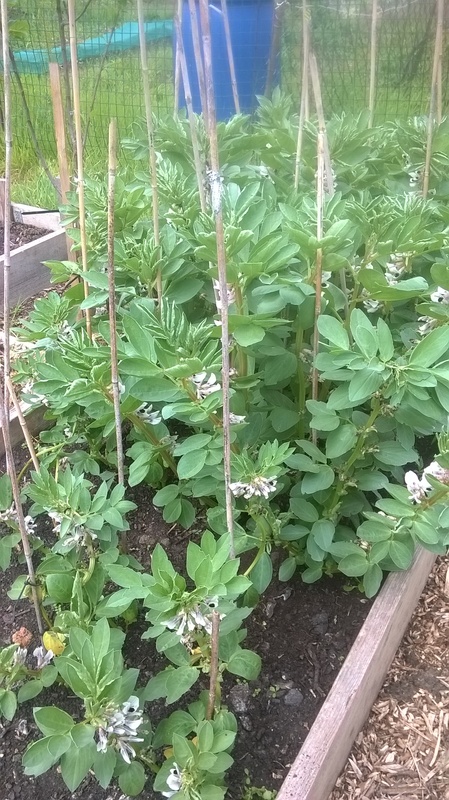 Author princessinesPosted on June 28, 2015 Tags Allotment, broad beans diseases, plot 29Leave a comment on First harvest!!!!!! 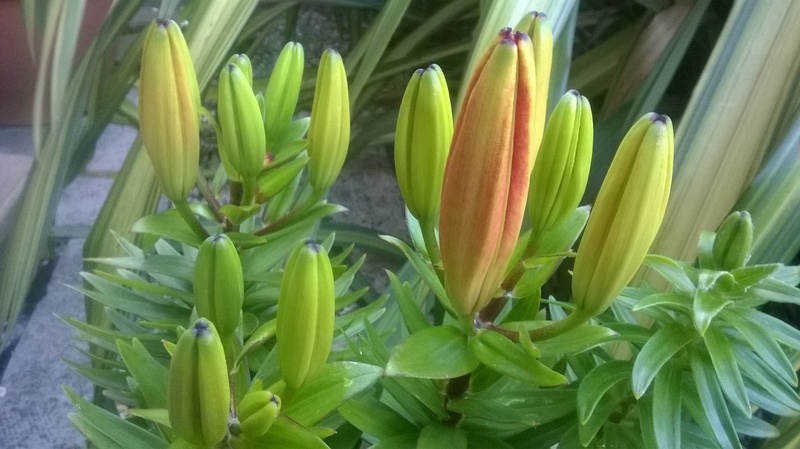 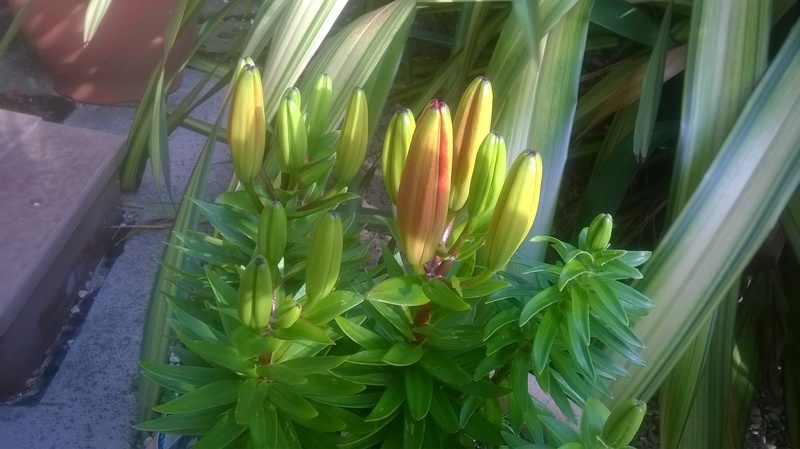 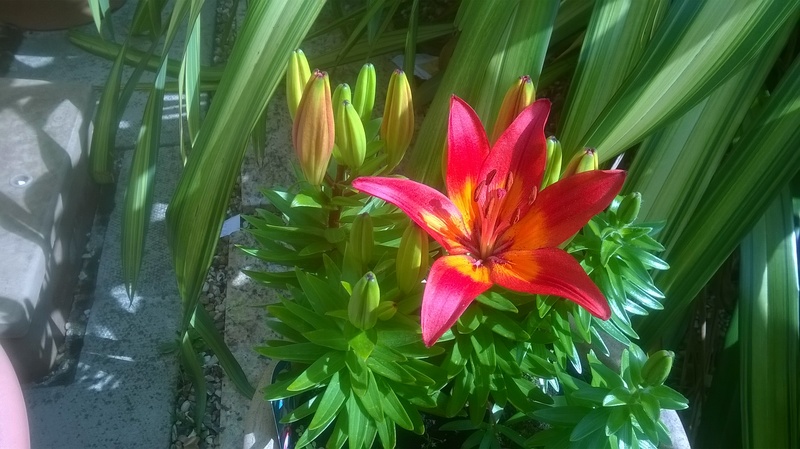 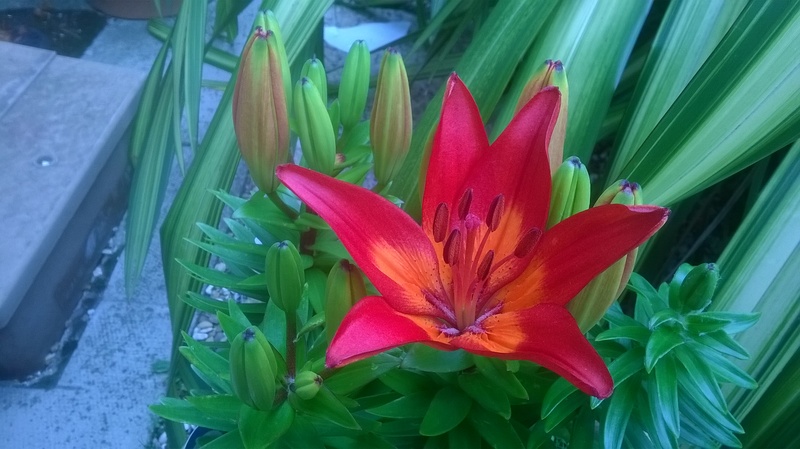 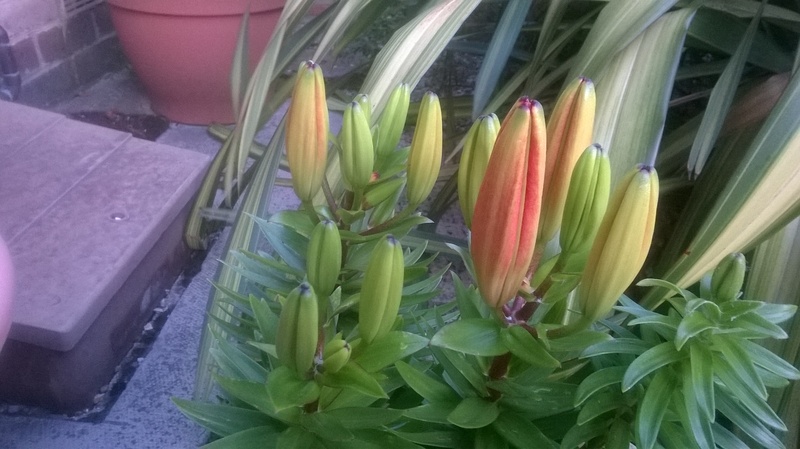 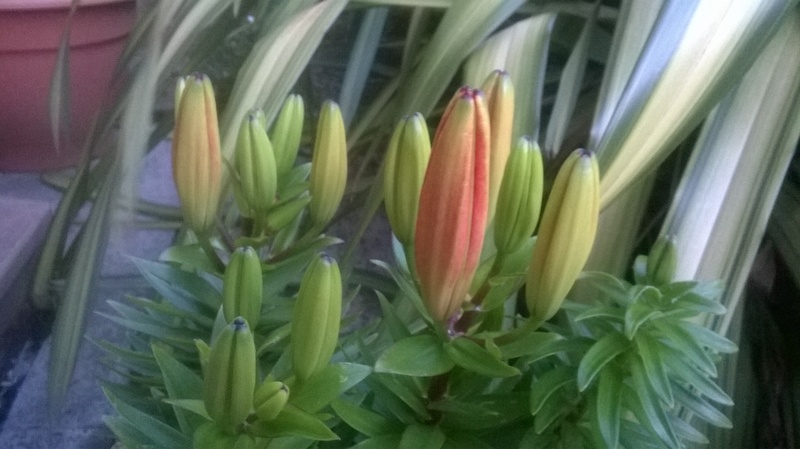 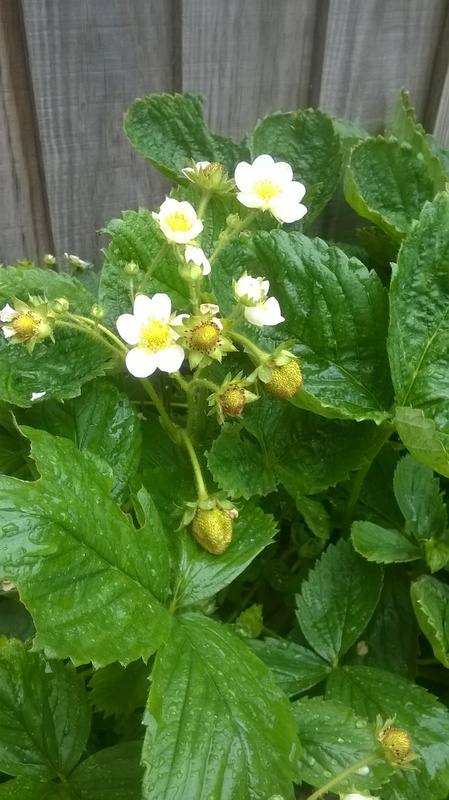 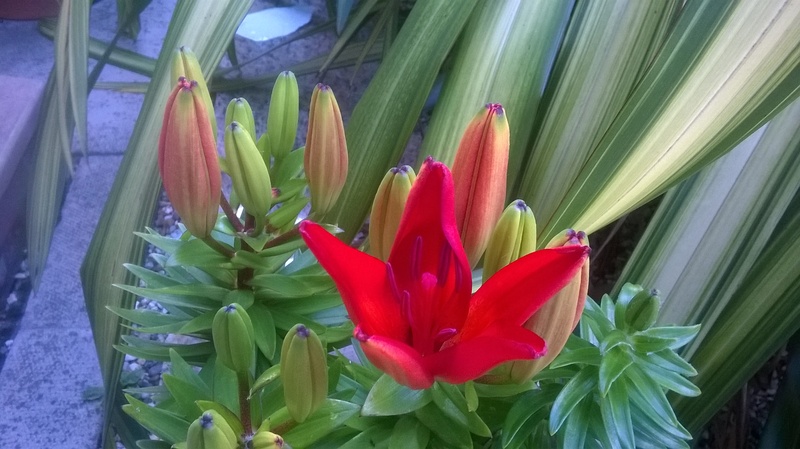 things are happening…let me show you round…. 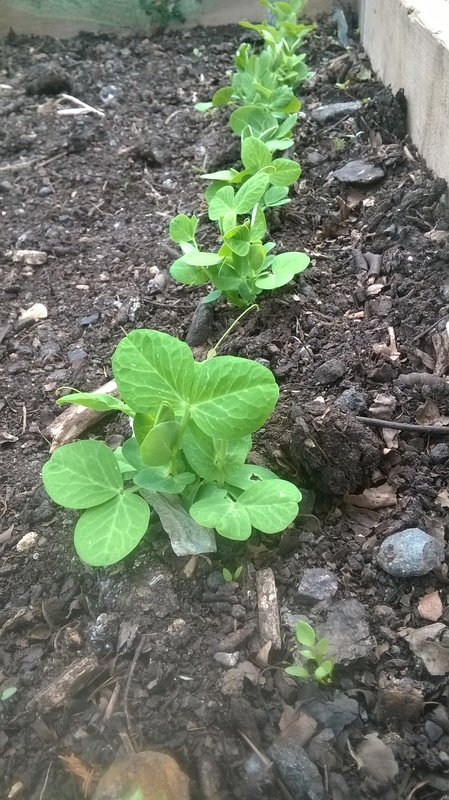 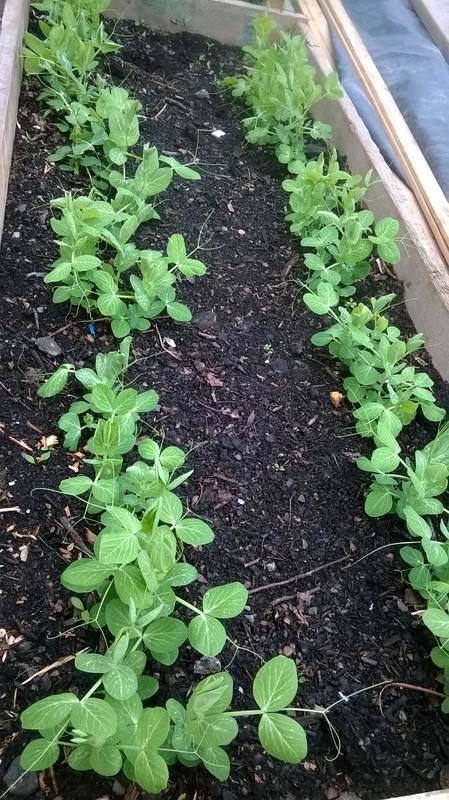 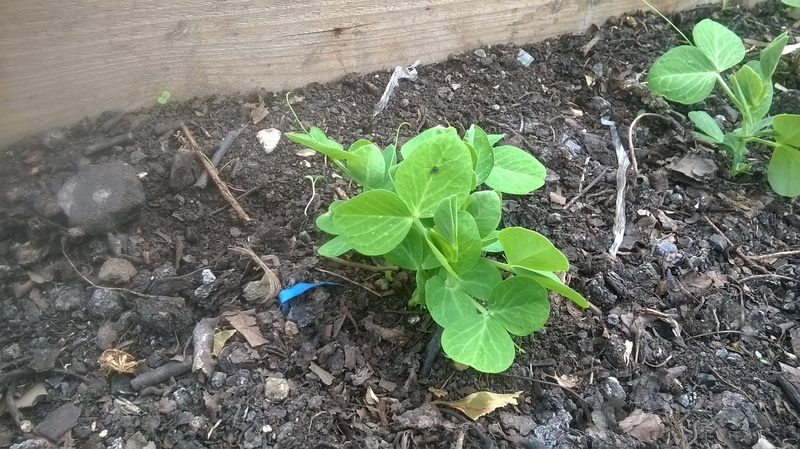 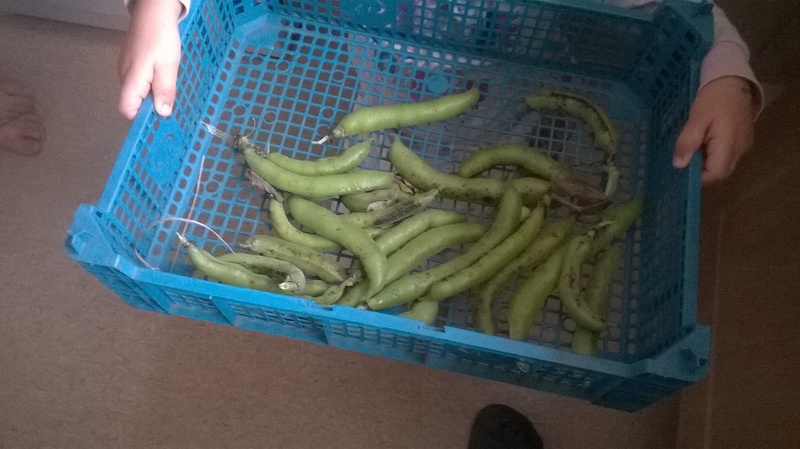 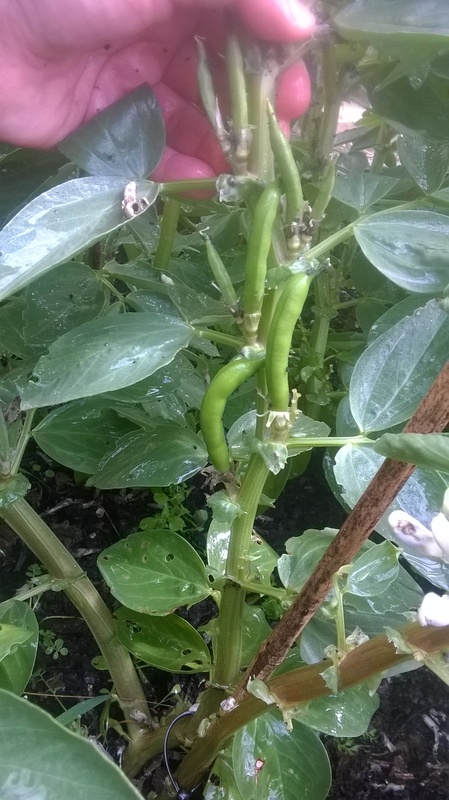 And look at these peas….after a four day absence on the plot, what a pleasant surprise…. 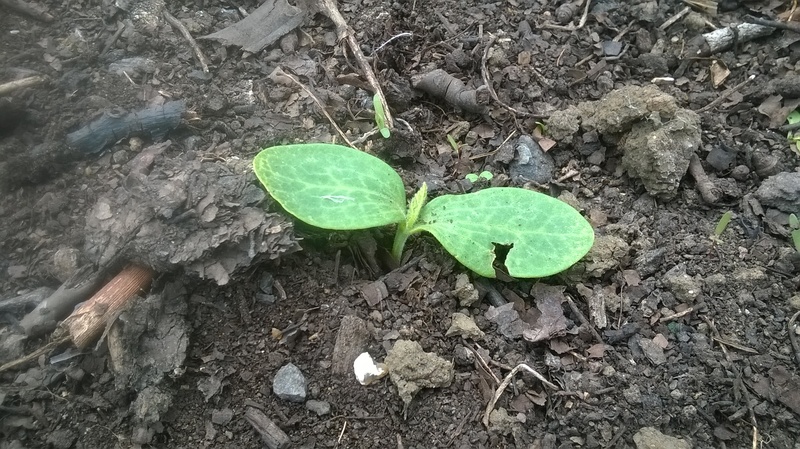 Another very pleasant surprise was these two pumpkins…..straight from seed on the ground…the ones we sowed indoors and transplanted out did not make it…. 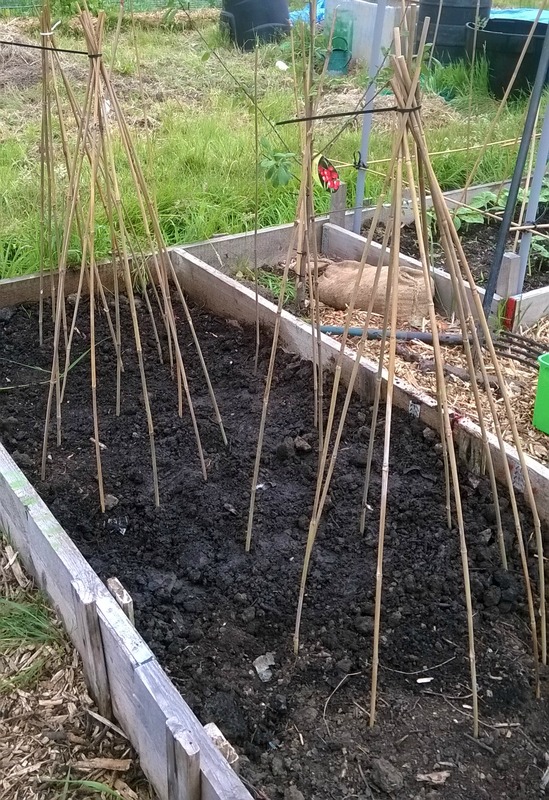 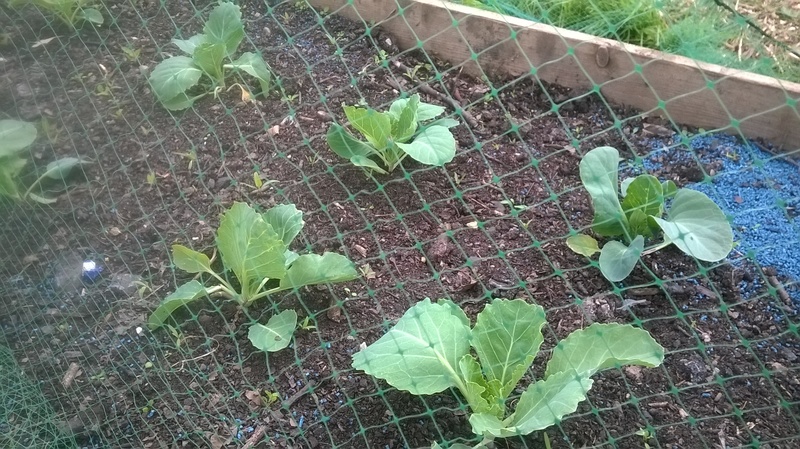 Then there’s the runner beans…..covered with a mesh for a few more days…we don’t want the birds to attack them thinking they are worms….. 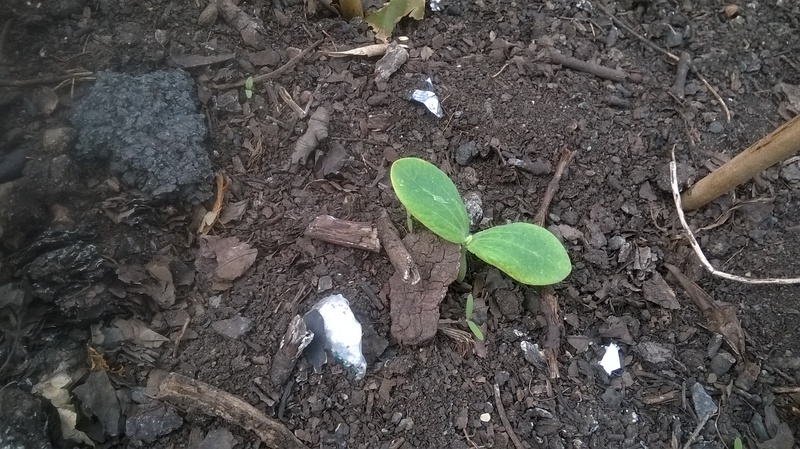 Remember the cucumbers hardening off on my patio table? 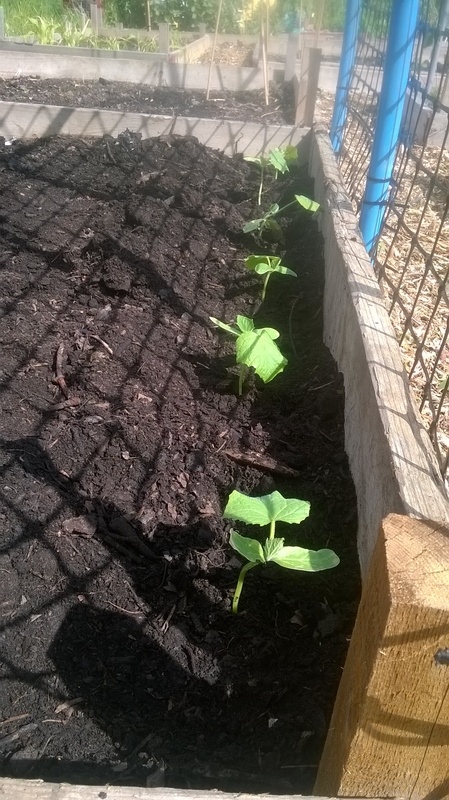 Well , we planted them today….my first cucumbers ever…insh’Allah I succeed….. 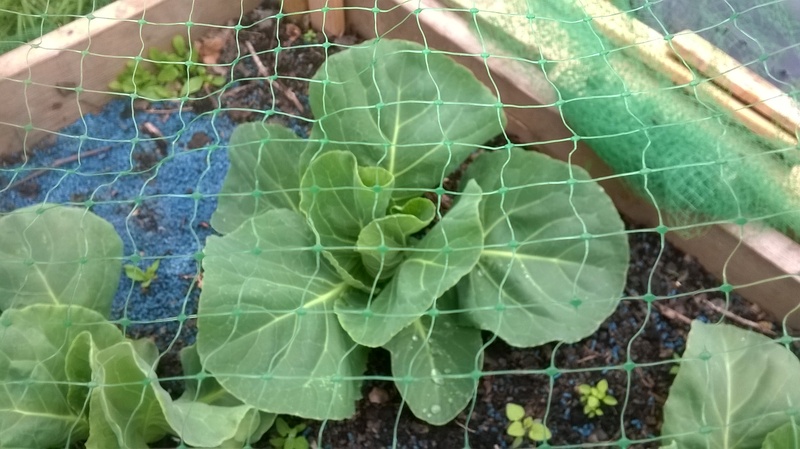 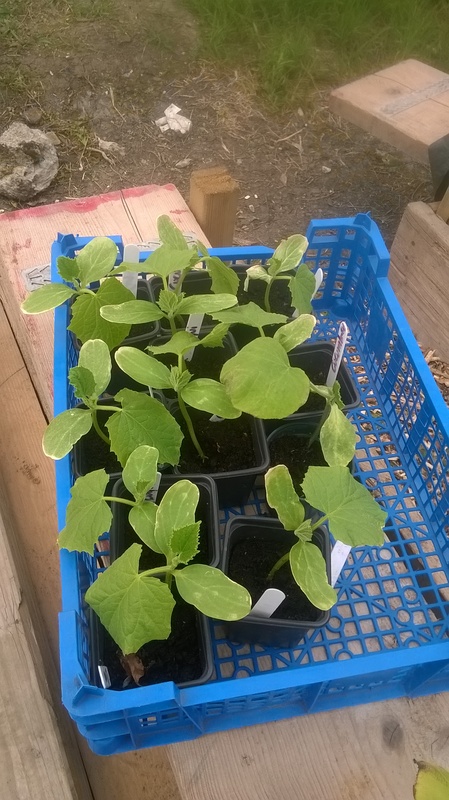 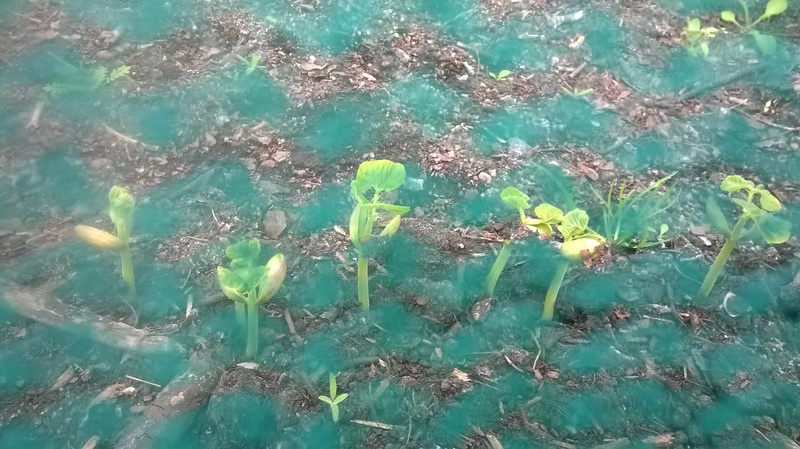 The courgettes and squashes are doing fine too…alhamdulilah…..and the rest I will have to show you another time as they are hardly noticeable…what a difference a few days make , subhanAllah….. 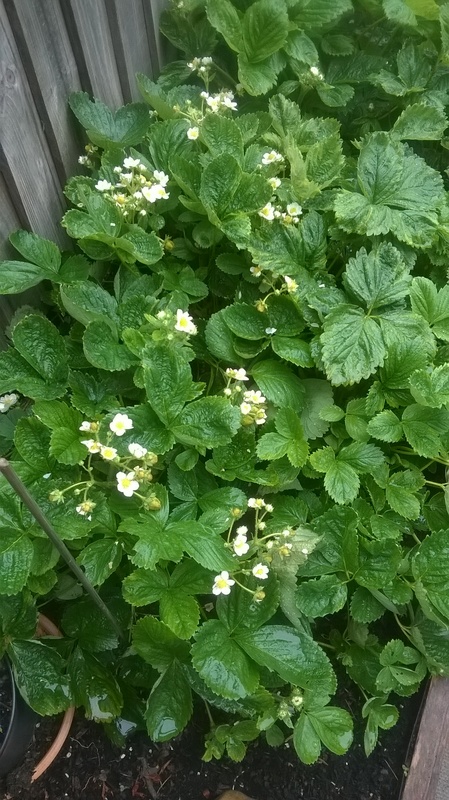 Author princessinesPosted on June 3, 2015 June 3, 2015 Tags plot 29Leave a comment on Plot 29….